We explored where you could learn one of the most soothing instruments of all time – the violin. 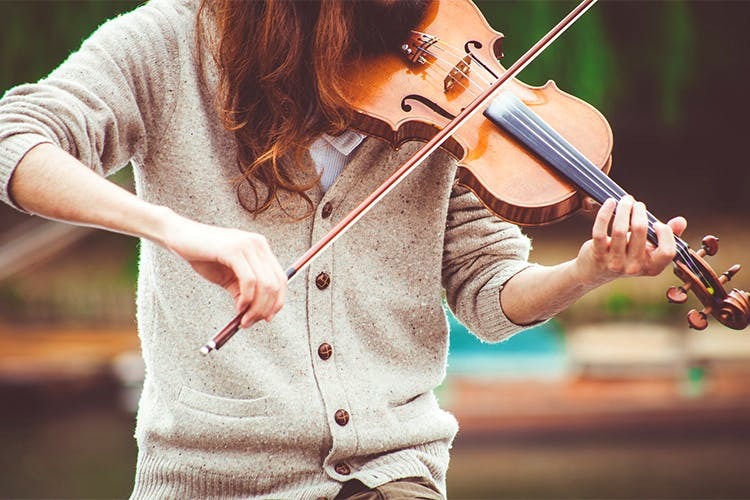 With English classical music known to be one of the most sought-after forms of music, we thought of letting you know that learning an instrument is not age bound. With dedicated time and drive to learn, you can practically ace any instrument. Violin is certainly one of the hardest instruments to conquer. Unlike guitar, which can be learned online, violin needs you to go and take classes. Psalms School of Music in Powai is flexible and one of the revered music schools in Mumbai where you can learn violin from. Following the Suzuki and Trinity College of London Syllabi, they have flexible schedules and can create a custom course for you in case you already know music. You have an option to learn a few songs of your choice or stick to a syllabic course. It’s all up to you. If you choose to learn, they teach you everything from how to hold the violin to bow strokes and music theory. It will take time to learn, but once you do, there’s no turning back. Their course fee is INR 7,200 for 12 classes and they’re individual sessions. They take a weekly class either on Saturday or Sunday. If your weekends are no longer about partying without fail, and you actually want to evolve your personality by adding a new skill to your kitty, then violin it is.